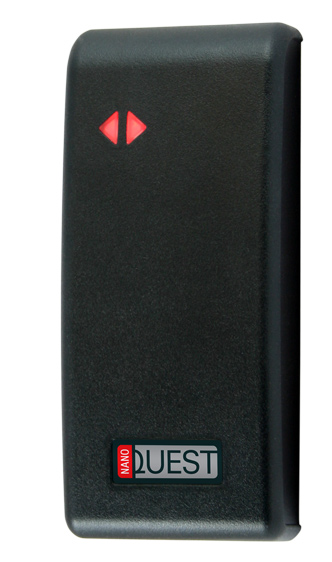 The NanoQuest is a compact standalone proximity card reader and access controller. The slender housing design suits most architectural and interior design settings, while the robust ABS polycarbonate construction allows it to be used in most working environments. With both the access control electronics and the 125kHz proximity reader technology contained in a single compact housing, it is easy to install and operate. A NanoQuest unit can control access through a single door for up to 600 authorised users. In addition to providing access control, the NanoQuest can be used as a secure method of controlling devices such as intruder alarm panels, lighting and heating. 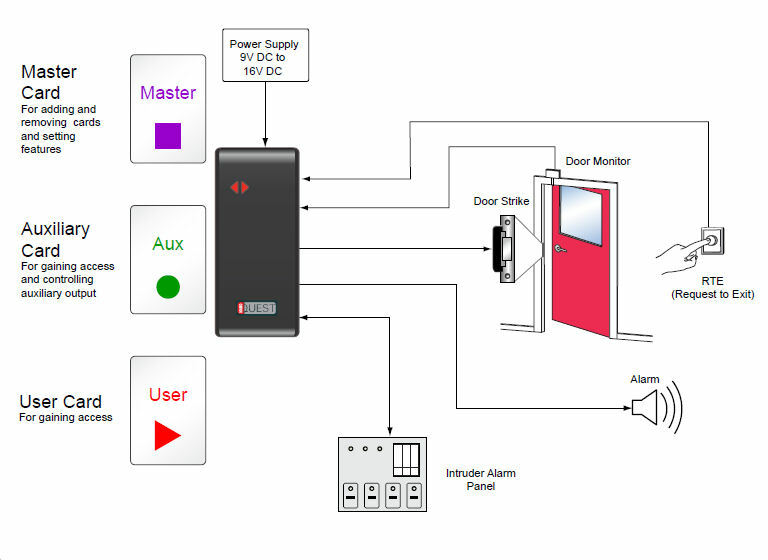 Features include free exit, arming, alarm output, door monitoring and auxiliary input/output. The configuration of features and the addition/removal of User cards are simple operations using a �Master� card. Special �Auxiliary� cards can also be added to control auxiliary devices. 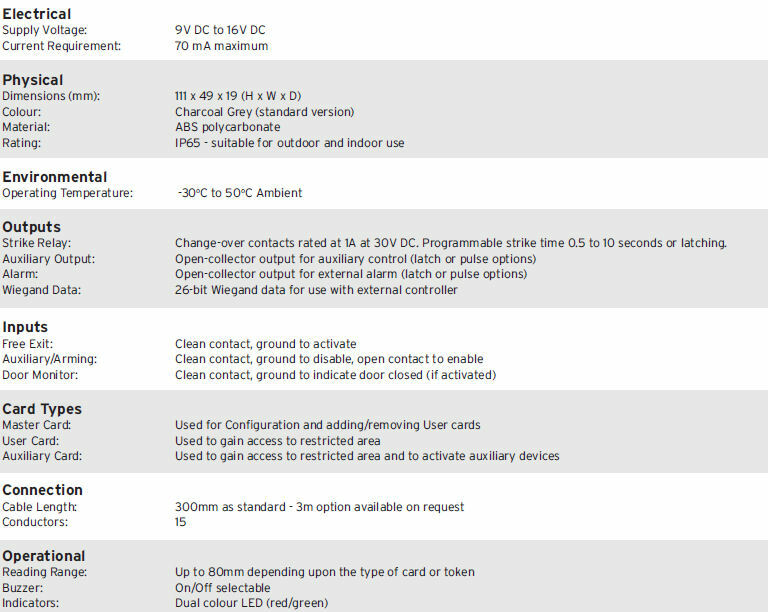 The NanoQuest can also output card data in 26-bit Wiegand format so that it can be used as a standard reader connected to an external controller in any future migration to a larger system.